After eight disastrous years of Obama's brand of "change" (going as far left as fast as he could drag America), we now have tangible proof that "change" can be for the GOOD, too. - Tax cuts, bonuses...the likelihood that many Leftist traitors & criminals will be going to jail, well the list goes on and on like the Energizer Bunny. 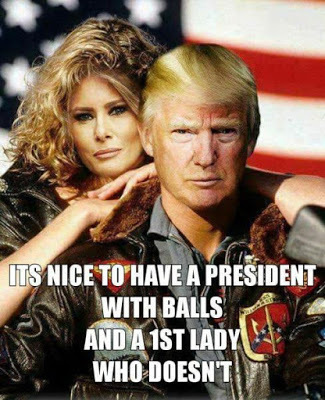 Not least is the "change" of having a POTUS with balls, and a FLOTUS without them. - You are NOT missed Michael...er, Lady Michelle.